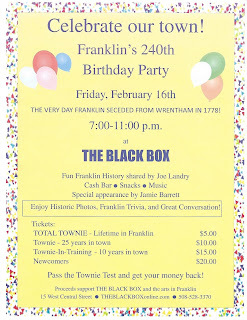 Franklin's 240th Birthday Party! 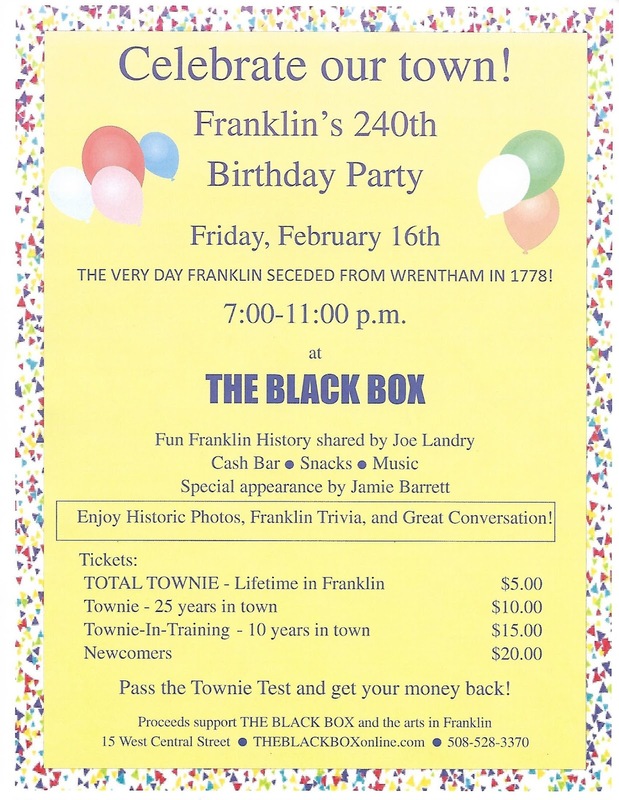 The very day Franklin seceded from Wrentham in 1778! Fun Franklin history shared by Joe Landry. Enjoy historic photos, Franklin trivia, and great conversation! Cash bar, snacks, music! Special appearance by Jamie Barrett. Pass the Townie Test and get your money back!